Amber Paige Lee was born and raised in Alma, Georgia. At age eleven, she moved to Dawsonville, Georgia with her mom, dad, and little sister, Marla. After completing just one semester at North Georgia she moved to Orlando, Florida in January 2009 and completed an internship at Walt Disney World. She is still a seasonal cast member at Disney and works in the theme parks during Christmas and summer breaks. She also worked at ESPN Wide World of Sports for the Atlanta Braves Spring Training. 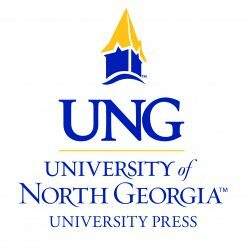 She returned to North Georgia in the fall of 2009 to focus on her degree in English Writing and Publication. While at North Georgia, Amber was a cheerleader her freshmen year and is a sister of Sigma Kappa sorority. In her free time, she enjoys watching football, reading, writing, watching Star Wars, riding her horse, competing in pageants, and visiting her friends all across the United States. One of her biggest dreams is to travel to the Middle East, Europe, Africa, and all around the globe. She will use those experiences to inspire her creative writing even more. Amber will graduate from the University of North Georgia in May 2013 with a BA in English and minor in History. After graduation she plans to move to Manhattan and begin a career in publishing, while still writing on the side. Her backup plan is to get a job in editing or writing in Atlanta, Georgia. Either way, she knows her life will be a big adventure.